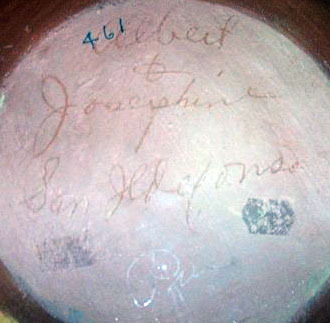 Josephine Cordova married into the San Ildefonso Pueblo around 1945 when she wed Albert Vigil. 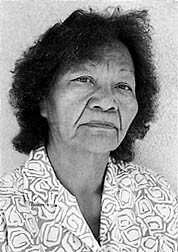 She was born at the Taos Pueblo around 1927. 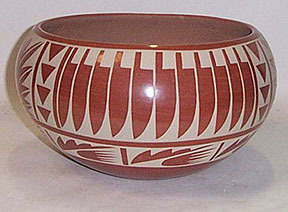 Encouraged by Albert’s aunt Maria Martinez to make pottery, Josephine then learned how to make pottery from Clara Montoya and Albert would paint the designs. After starting with Black-on-Black, they focused the majority of their work on Cream-on-Red after seeing Maria work with Red. Josephine passed away in January 2001 - Albert is still alive today.